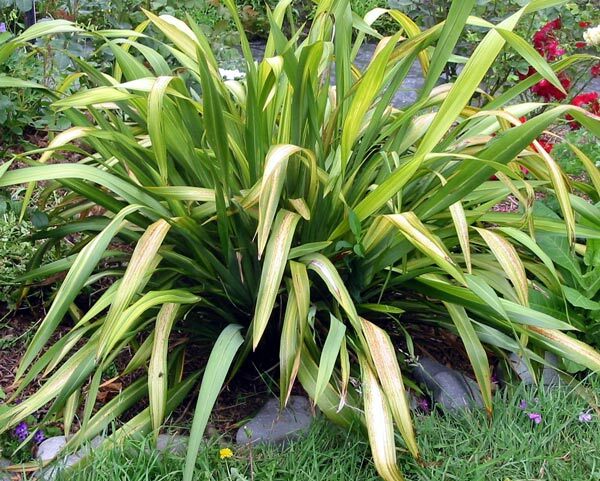 Yellow Wave is one of the cheeriest New Zealand flax (Phormium) hybrids. It is reasonably large and bulky, and has a weeping form. In this first photograph it looks more like a Green Wave - the leaves are much more yellow in summer. 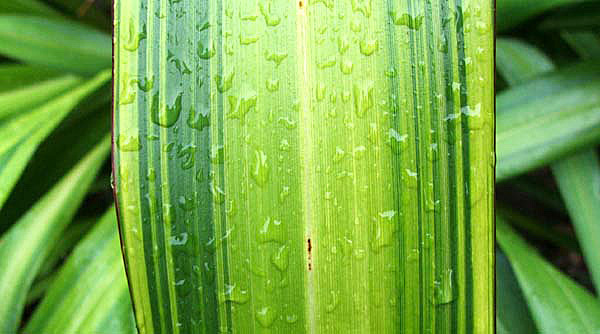 Each leaf has a different pattern of green and yellow stripes. Just occasionally parts of the flax will revert to plain green. Then it's time for a short, sharp kitchen knife! Ouch! New Zealand flaxes deserve beautiful companions, and I am very fond of growing them with roses in the garden. 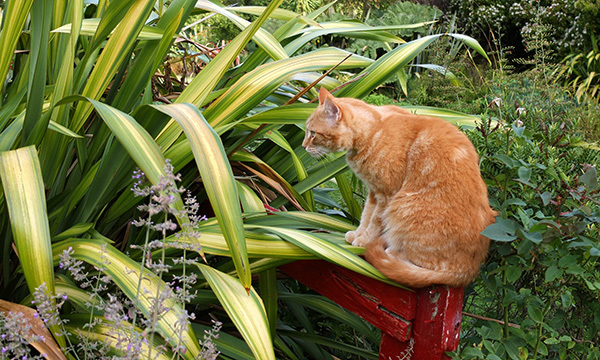 Many start life in pots and then go into proper garden locations. And one or two have been in the same pot for far too many years to mention, without even a change of potting mix. Oops! For some unknown reason, my London-based webmaster son is rather rude about Yellow Wave flaxes. I wonder if they remind him of the yellow waves of sunshine that London misses out on?